Abu Dhabi: UAE coach Alberto Zaccheroni said he can see in the eyes of his players the ‘desire to win’ and go all the way ahead of their knockout match against Kyrgyzstan in the AFC Asian Cup at the Zayed Sport City on Monday. The action starts at 9pm. “The concentration and focus is in place. I can see it that they want to win the championship and want to make the UAE fans happy, which is great,” said Zaccheroni in the pre-match press briefing on Sunday. The 65-year-old, who led Japan to glory in the 2011 edition of the tournament, rated their opponent Kyrgyzstan as a fierce competitor with plenty of all-round ability. “First of all, Kyrgyzstan have a Russian style of play and since they split up from Russian Federation in 1991, they have become a very professional side. “They have four players playing in the European league, they are world No. 21 and have developed a lot in the last few years. It will be a difficult game but I have enough confidence in our players,” said Zaccheroni, who also confirmed that winger Saif Rashid from Sharjah Club has recovered fully from hamstring injury and is ready to join the squad. “Rashid has recovered so we have a full side and we are ready for the challenge. This stage will require a lot of focus and we will have to treat each game as the final game. There is no second chance for the players or the coach from now on,” declared Zaccheroni, whose team made it to the last 16 finishing at the top of Group A with a win and two draws against India, Bahrain and Thailand, respectively. With just four goals which included a penalty, the strikeforce is a worry for Zaccheroni but the Italian has backed his forward line led by Ali Mabkhout to come good. “The attack doesn’t rely on one or two players, we need to initiate a move from the back. We have to create opportunities by shooting on the goal and all the statics from the previous matches show we have held the possession. “The percentage of attack was also more than the other teams. The goals other teams have scored come from counter-attacks. The players are looking to improve their performance. You also have to understand that the teams that we have played against have opted to be on the defensive as well,” felt Zaccheroni. Midfielder Majed Hassan revealed that the mood in the camp is great and everyone is raring to go. “This is a new stage and we respect our opponent. Our first weapon is the fans and if they are there, we will definitely be giving our best. 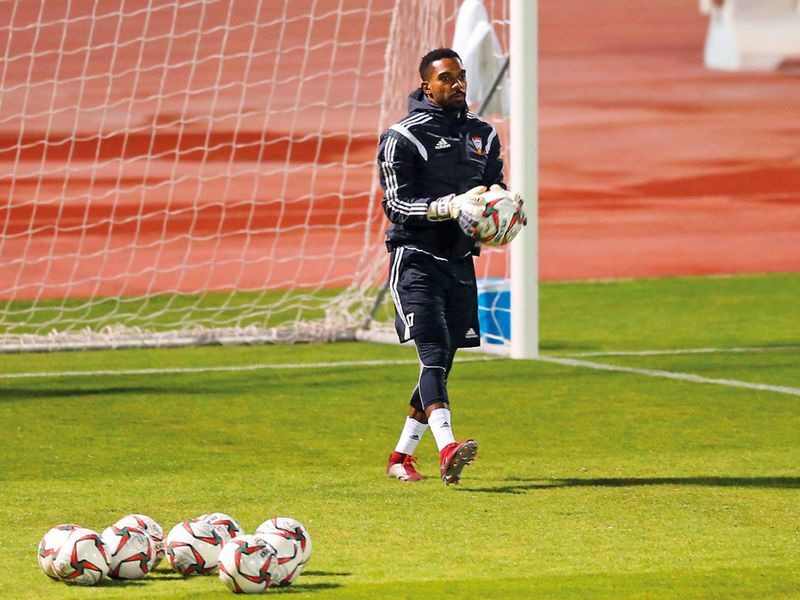 Everyone wants to do well,” said the Shabab Al Ahli midfielder. Kyrgyzstan manager Alexander Krestinin, too, is not leaving any stones unturned to make sure his side gets across the line against the hosts. He revealed that the team will be receiving a call from the country’s president Sooronbay Jeenbekov ahead of the contest. “This kind of motivation and support from both the president of the country and fans are always welcome when you play against the tournament hosts who will have the backing of their fans in the stadium. “UAE is a good side under a well-known coach Zaccheroni so any kind of support for us for this game, including the travelling fans, is a massive incentive and encouragement for us,” asserted Krestinin. whose side qualified as the best third-placed team thanks to the hat-trick by Vitalij Lux against Philippines in the final fixture. Lux was confident of keeping his goal scoring run and was upbeat about his side progressing. “I think I can be decisive again. I have scored in the German Cup and the Asian Cup. Why not, I’m in good form and hope to do it again. It’s my job to score goals. As a team, we want to achieve good results and in tomorrow’s game too,” said Lux, who is currently on second spot behind Qatar’s Ali Almoez — who has so far scored seven goals.